Inspiring Leaders to Develop Vision, Alignment & Execution! International Speaker, Trainer & Peak Performance Coach integrates NeuroLeadership & Accelerated Learning tools to inspire and coach others to craft their vision, attain alignment and execute their transformation. DR. MARIO GARCIA is a World Class Coach/Speaker/Trainer. 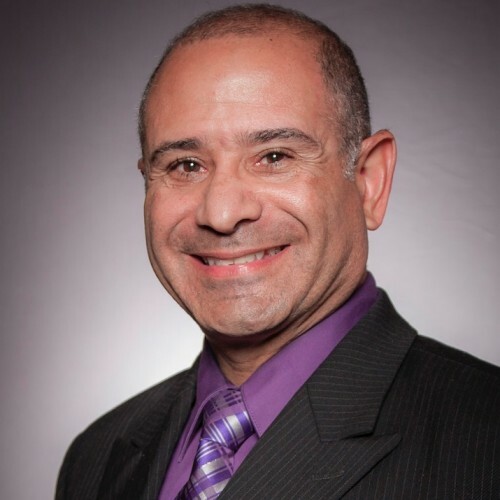 Moreover, he is a Professional Certified Coach and Registered Mentor with the International Coaching Federation (ICF), whose primary executive clients include corporations, business organizations to include sales teams, physicians, attorneys, business owners and other allied health professionals. Additionally, Dr. Mario serves as a Assistant Professor School of Behavioral Sciences, Liberty University. He is also certified as a Mental Game Coach and Neuro Science Strategic Interventionist. Since 1992, he has coached more than 50,000 clients in 56 countries in both English and Spanish. He earned a Juris Doctor (Law), a Ph.D. Psychology with a major in Peak Performance, a Post Doctor in Neuropsychology, and he earned an MBA in Management, Master of Divinity, and a Master of Laws in Health Law. His community service accomplishments earned the 1990 Ten Outstanding Young American Award in Humanitarian Service, and the Ten Outstanding Person of the World Award in Moral Leadership. He is a licensed attorney in Florida, New York, Washington, D.C., and the U.S. Supreme Court. Additionally, he is a licensed Mental Health Counselor, Florida. After nearly two decades, he retired as a U.S. Army Aviation Captain. He has been mentored by Anthony Robbins, John C. Maxwell and Les Brown. His calling is to inspire business owners, athletes, non-profit organizations, board of directors, and teams, coaching them from where they are to where they want to be by "Turning Actions into Results" and living a Peak Performance Lifestyle! Mario is married to the former Wanda I. Rodriguez for 40 years, and they have three children and eight grandchildren. Mario and his wife reside in Miami, Florida, USA. His hobbies include Obstacle Course Racing (OCR) Spartan; as well as coaching obstacle course racers and he is a Certified IRONMAN coach. Find out more about Dr Mario at http://www.neurostrategiccoach.com.